Granny Hamner was born Granville Wilbur Hamner in April 1927 in Richmond, Virginia – one of 35 major league players born there. He grew up on West 32nd in a house that was, best I can tell, close to Forest Hill Avenue and not far from Forest Hill Park and the banks of the James River. 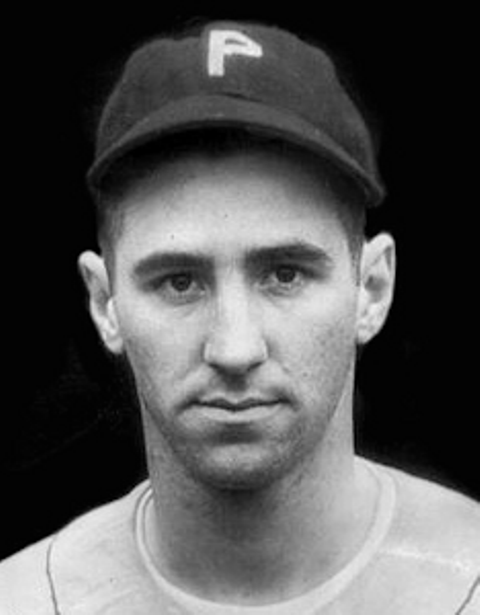 He was just 17 years old on September 14, 1944 when he debuted with the Philadelphia Phillies. He was so young that he could not legally sign his own contract with the Phils. His mother did that for him. He was so young that when the season ended, he returned to Benedictine High in Richmond – a religious and military academy – to begin his senior year in high school. He wasn’t even the youngest Philly on the field that day. That was Ralph “Putsy” Caballero, who was 16. He, too, was making his major league debut for the Phils. 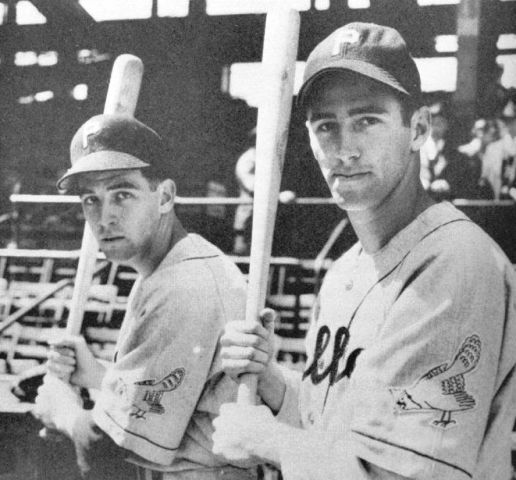 These were the World War II days when teens were called on to fill the positions vacated by older drafted ballplayers. Young Granny, a star of Richmond’s American Legion league, had also tried out with the Dodgers and was trying to catch on with a team that was a little thin on players. He Hated Being Called Granny. Nicknames should be terms of endearment. But, Granny? Sure, I can’t blame him, but it sort of makes me want to call him Granny even more. 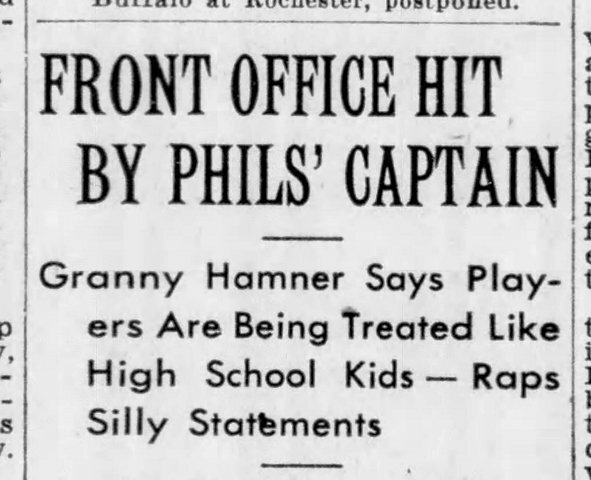 Granny Wasn’t The Nicest Guy – On Or Off The Field. He squabbled with team owners, held out in salary disputes, fought with his managers, and grumbled about older players who got in his way. And, he complained that team management treated the players poorly. Granny And Garvin Hamner Formed Baseball’s First Brotherly Double-Play Duo. Granny (left) and Garvin (right). 1945. 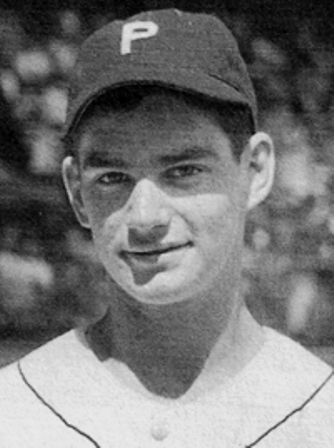 Granny’s older brother Garvin was also signed by Philadelphia and made the team in 1945. They became the first brothers in the big leagues to play together in that keystone shortstop-second base spot. Each off season, teams protect their best players and leave the rest available through baseball’s oddball Rule 5 draft. The Orioles love to scrape up the Rule 5 discards of other teams. And, while teams can get lucky (like the Pirates who drafted Roberto Clemente in 1954), usually you’ll end up like the Orioles – stuck with a so-so player that you just wasted a roster spot on. I share this Orioles Rule 5 relationship with you and remind you that the St. Louis Browns would become the Baltimore Orioles in 1953. In 1947, the still-St. Louis Browns scouted Granny with an eye toward making him their Rule 5 pick. 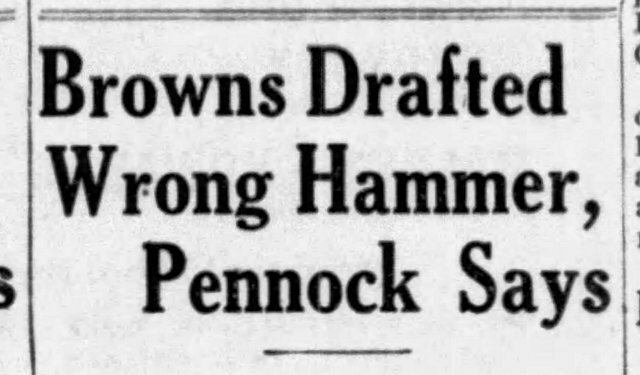 And so, they drafted Philadelphia’s G. Hamner. That was not Granny. 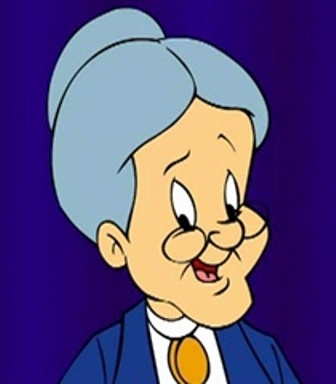 They quickly discovered that they had drafted Granny’s less talented brother Garvin by mistake. The Browns sent Garvin to the minors. He never made it back up. 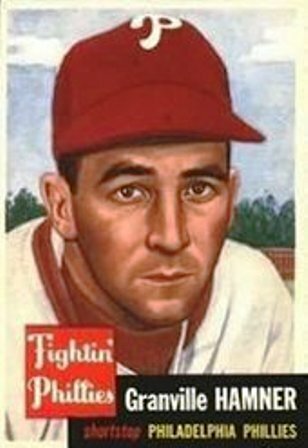 Garvin’s 32 games with the Phillies in 1945 wound up being his entire big league career. He batted .198 in those games with five RBIs. 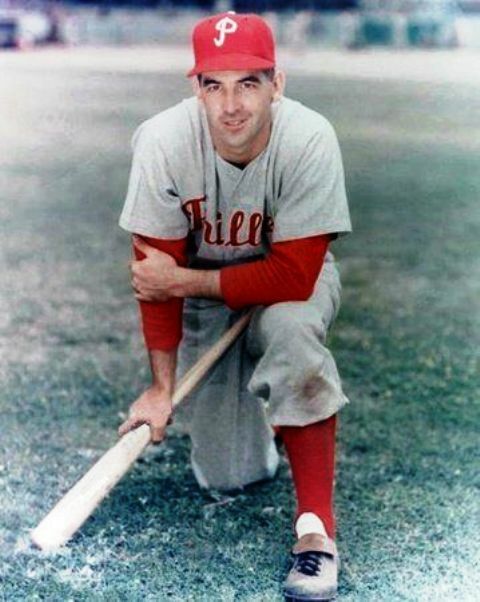 By The Time Granny Was Dubbed One Of Philadelphia’s “Whiz Kids” – The Name Given To The Spunky, Young 1950 Phillies – He Was No Longer, Technically, A Kid. He Was 23. 1950 Whiz Kids. Granny is in the second row from the top, second from the right. 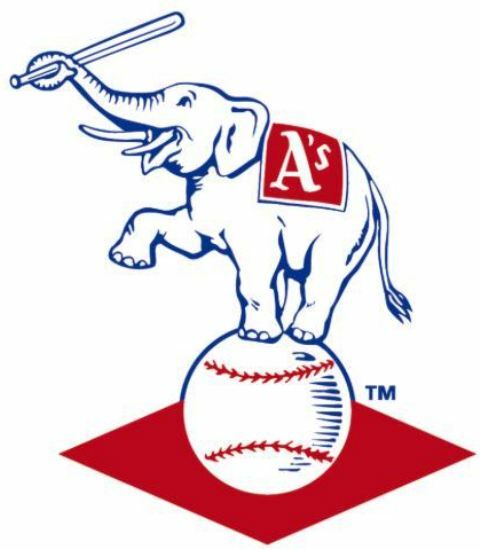 Granny bounced up and down in the minors over the course of the 1940s and spent a year in the military. 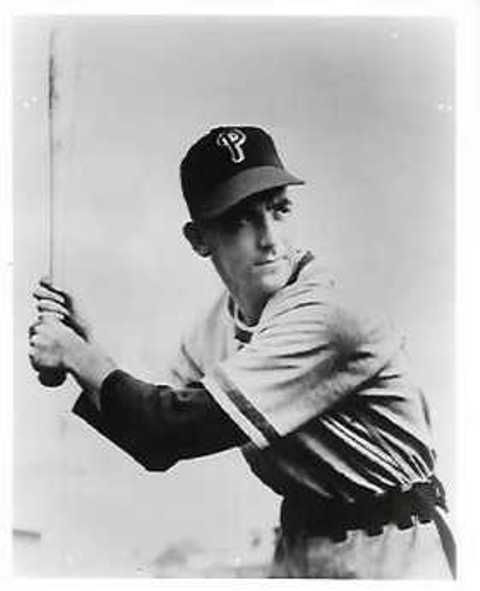 But by 1950, he was the Phillies regular shortstop and helped lead the team to a 91-63 record, the NL pennant, and a trip to the World Series against the heavily favored Yankees. 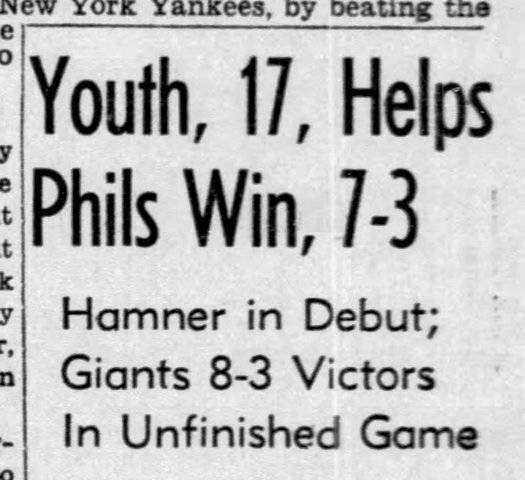 Granny batted .429 in the Series, but the rest of the Whiz Kids withered under the pressure. They were no match for the veteran Yankees, who swept them. Granny’s 6-for-14 Series included two doubles, one triple, and one run. He stole one base. He was easily the best Philly in the Series. Over on the Yankees, Joe DiMaggio went 4-for-13 (.308 avg) including one double and one home run. Most people think Joe would have been the Series MVP, if there had been such a title. Hamner was no DiMaggio. But, that October … he was a little better. He Was A Three-Time All-Star At Two Positions. Traded to Cleveland in 1959 and then relegated to the minors, he played some, managed some, and honed a knuckleball that was decent enough to get him one last big league shot at age 35 – pitching with Kansas City in 1962. He threw two scoreless innings in his debut against Baltimore. But, his next appearances against Detroit were disasters. In two innings of relief over two games in early August, he gave up four earned runs. A few days later, when the team was preparing to fly out of Washington after a road trip, Hamner disappeared. 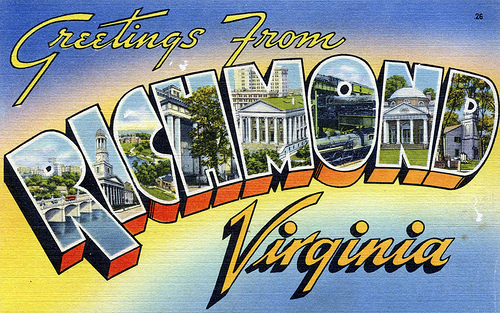 The team later discovered that he had driven back home to Richmond, talked it over with his family, and retired. “Baseball has been good to me for 18 years, but now, in the 19th, it isn’t so good anymore,” he told reporters. The kid they called Granny had finally gotten old. His last big league appearance was August 1, 1962. He Was Scouting Players In Florida For The Phillies On May 9, 1980 And Was Driving Over Tampa Bay Via The Sunshine Skyway Bridge When The Bridge Was Hit By A Freighter And Collapsed. When the car directly in front of Hamner slammed on its brakes unexpectedly, so did Hamner. That car in front of him is the one that teeters at the edge of the collapse in the famous news photo that you can see here. Thirty-five people were killed in the collapse. Hamner was uninjured. Granville “Granny” Hamner Died In 1996. Granny is still considered one of Philadelphia’s greatest shortstops. 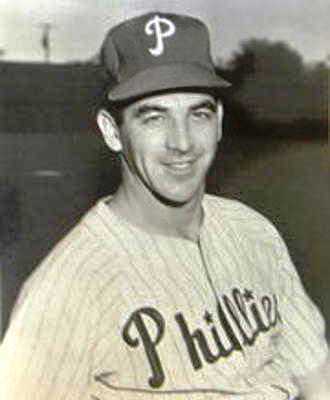 He was inducted into the Phillies Hall of Fame and frequently took part in team events, especially those honoring the 1950 Whiz Kids. In September 1993, he attended a Phillies game and was scheduled to appear at a baseball memorabilia event. He died at Philadelphia’s Four Seasons Hotel of a heart attack on September 12. He was 66. Granny had his own kids – three daughters and a son. In 2000, his son Wes coached Richmond’s Benedictine High baseball team, his father’s alma mater, to its first state championship. Read more from the Virginia-Born Baseball Project here. 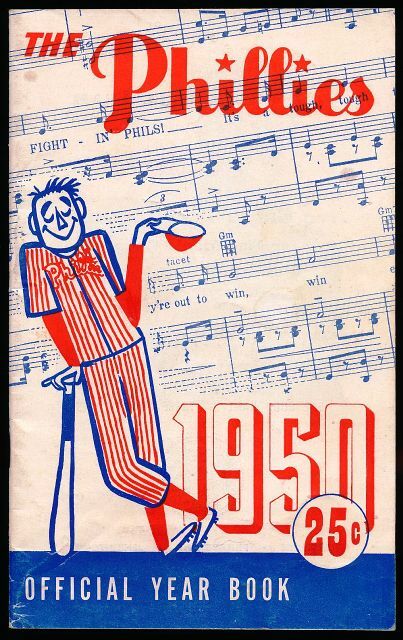 This entry was posted in Baseball, Baseball History, Virginia Born and tagged 1950 Phillies, Granny Hamner, Philadelphia Phillies, Richmond Virginia, Whiz Kids by Jackie, The Baseball Bloggess. Bookmark the permalink. It’s hard to imagine teenagers in the big league’s, but it makes sense in the light of the war. Did many players (including those not from Virginia — pardon my heresy) get their start during that period? Granny was one of the better ones … most were not quite big league quality and as soon as the older players, like Ted Williams, Joe DiMaggio, and Stan Musial, returned to the game, the young kids were elbowed out or back down to the minors (which is what happened to Granny who had to work his way back up … most didn’t work their way back up). 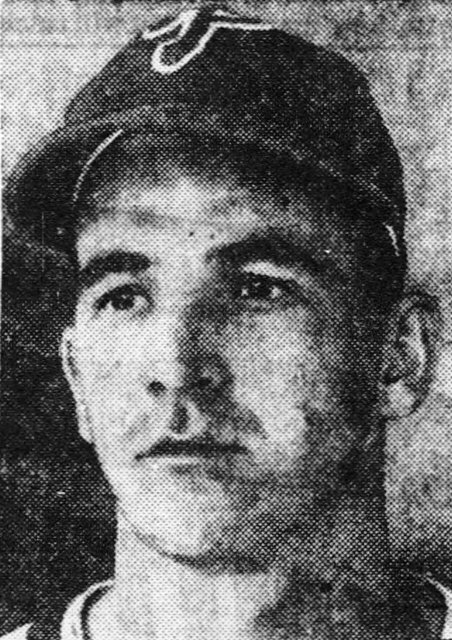 More than 500 major league players served during World War II. Maybe that’s the way to rebuild. Put teenagers out there. Can’t be worse than going with other teams’ rejects. Great research, Jackie. I love your Virginia players articles. I remembered Hamner, but not his Virginina roots. Thank you, Hunter! I love this project — I learn so much about players I don’t really know much about … but, just as important, I learn a lot about Virginia and get an excuse to get in the car with Randy and explore! BRILLIANT strategy for dealing with technology and what a fun insight on a silly nickname. For the record, this also works for laundry if you have someone else to pawn off the task on… Don’t say anything about it, but feign ignorance about how to properly fold clothing, leaving everything wrinkled, or wash everything together with hot water and admire your new pink towels, underwear, sweatshirts, etc… Eventually the responsibility will be taken away from you, no argument needed!